Graduate students from the C. T. Bauer College of Business saw firsthand the operations of a tech giant and the state’s largest public retirement system during a trip to Austin this month. 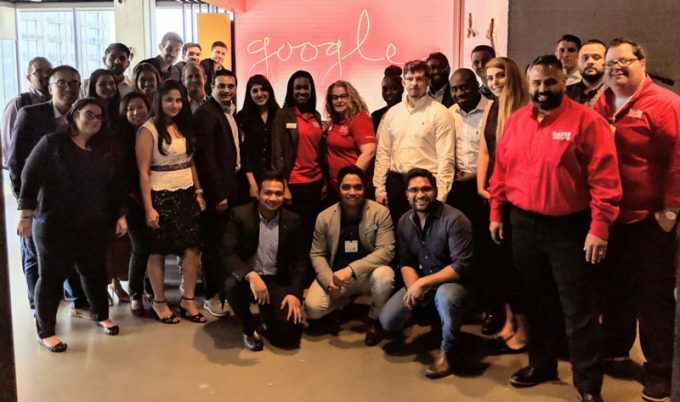 Bauer MBA and MS students toured the corporate offices of Teacher Retirement System of Texas (TRS) and Google, meeting with senior leaders at each organization. The trip was organized by the college’s Rockwell Career Center Graduate Career Services Team. The trip offered students perspective on how different companies operate and uniquely prepared them for the job market, said Bauer Senior Career Development Specialist Erin Reed, who led the trip. The students participated in panel discussions at both facilities, with staff from various units, including Performance and Analytics, Corporate Sales and Cloud Sales.